Tweet Welcome to the Nothing Shocking Podcast. This episode we talk with Tom Keifer formerly of Cinderella. Tom’s currently in the several year tour with is solo band. They put out the album “The Way Life Goes” with great success. They’ve been touring on that since 2013. The touring band has become a real legitimate band and they’re going to head back into the studio to record more tracks for a deluxe version of “The Way Life Goes.” We also talk about his protege Lzzy Hale and the thought of fronting AC/DC. 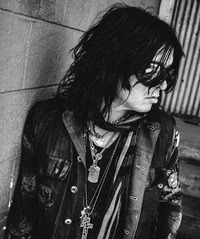 Check out Tom Keifer at www.tomkeifer.com.